This course is for the novice user who has little or no experience with Microsoft Excel except for my Excel Beginner Level 1 and Level 2 courses. 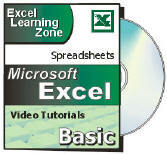 We will begin by learning about Functions, what they are, and how to use them in Excel. 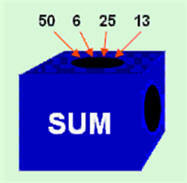 We will learn about the SUM function and how to use it to add up a whole column of cells. You will learn several other popular functions as well, including Average, Count, Max, and Min. You'll also learn how to move a whole block of cells. You will get lots of practice using these different functions, and learning lots of tips, tricks, and shortcuts for working with functions in Excel. Next we'll learn about Styles & Themes and how we can use them to make our Excel spreadsheets look professional and uniform. You'll learn about Page Layout in Excel, including page layout view, margins, orientation, page size, print area, page breaks, background images, gridlines, and headings. We'll see how to insert Illustrations into our spreadsheets. We'll start learning how to insert a picture or a piece of clip art. We'll learn how to format that image, change brightness and contrast, and more. Then we'll learn how to insert shapes, format those shapes, add text to those shapes, draw lines with arrowheads, and then work with WordArt styles. Finally, we'll learn all about SmartArt which is a great new feature in Office 2007 which lets you create cool, artistic diagrams and flowcharts. Again, this is the perfect class for anyone who is new to Microsoft Excel 2007 and has finished my Excel Beginner Level 1 and Level 2 courses. If you have little or no experience with spreadsheets, or you just want to get familiar with how Excel 2007 works, this class is for you. Kethix on 3/6/2012: can you format a cell that is not storing information? Yes. Obviously you won't SEE any foreground (text) color, but the format will save in the cell. Patrick, I don't understand what you're trying to do. Can you be a little more specific? Are you trying to calculate someone's current age based on their date of birth? If so, I cover that in Excel Expert Level 2. Richard Rost on 3/9/2013: FOUND MISTAKE: There is an error in the video. At around time index 10:30 after I've inserted a new column to add June, I forgot to update the formulas in cells H6:I8. The totals for the TOTALS are wrong. The ranges need to be expanded to include the new month. Sorry for that. Thanks to Sean R. for catching that mistake. Marla Hatton on 3/13/2013: I want to total a row of numbers and after the total get an average how do I do that. Use the SUM and AVERAGE functions... exactly how I cover them in this class. It doesn't matter if you're working with rows or columns. So you're missing the VIEW tab, next to the REVIEW tab? That tab should be there on all installations of Excel 2010 and 2013, so unless you or someone else customized your Ribbon, all I can suggest is to restore the Ribbon to its default state. File > Options > Customize Ribbon > Reset. scott on 6/4/2013: Ok, I think I figured out the problem. I'm using Microsoft excel starter 2010, and I guess it doesn't have all of the features as Microsoft excel 2010. So I guess my new Question would be, should or do I need to upgrade to the regular version of excel to follow along with your lessons, especially the more advanced courses? Excel Starter Edition is extremely limited. It lacks MOST of the advanced features that I'll be covering. 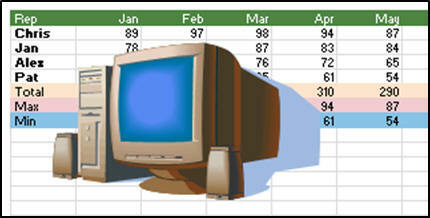 You will definitely want to upgrade unless you want to make the most basic of spreadsheets. I recommend Excel 2013.
scott on 6/10/2013: Ok thanks, that's what I thought. I'm going to work on trying to get the upgrade for free. Or if you know of any way to get a discount for the upgrade Id like to hear. Sorry, I do not. I have an Office 365 subscription which I feel is the best way to go about it - most economical, and you always get the most up-to-date software. scott morford on 6/12/2013: That's ok, I actually just got Microsoft office professional plus 2013. 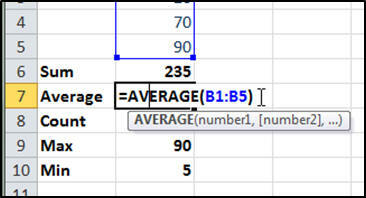 So trying to follow along with the excel 2010 lessons, just using 2013. Karen Rantala on 10/7/2014: when using the page breaks in lesson 5 of excell beginners, the page divided into 4 and the text was missing half or all. Plus my page got larger and now my ribbon has only the headers and not like tabs. Rajiv Dass on 11/19/2015: Excel 2010 Beginner 3, Lesson 5(00:18) You pronounced "Gridlines" as "Guidelines".